In a world where you can order practically anything from your phone, the process of obtaining and fulfilling a prescription is full of red tape. Not only are you required to show up at a pharmacy and make sure that all of your medical insurance (and possible supplement plants) are in order, but you’re also blind to what your medication really costs. TinyRx, which launches out of stealth mode today, partners with local pharmacies to not only deliver medication straight to your door in as little as two hours, but also shop around to ensure that you get the lowest price available. Currently serving SF, Oakland and Berkley, the company works with local independent pharmacies to package medication. It also serves as an easy price-compare tool — the company guarantees that you will pay your copay or less with each prescription. 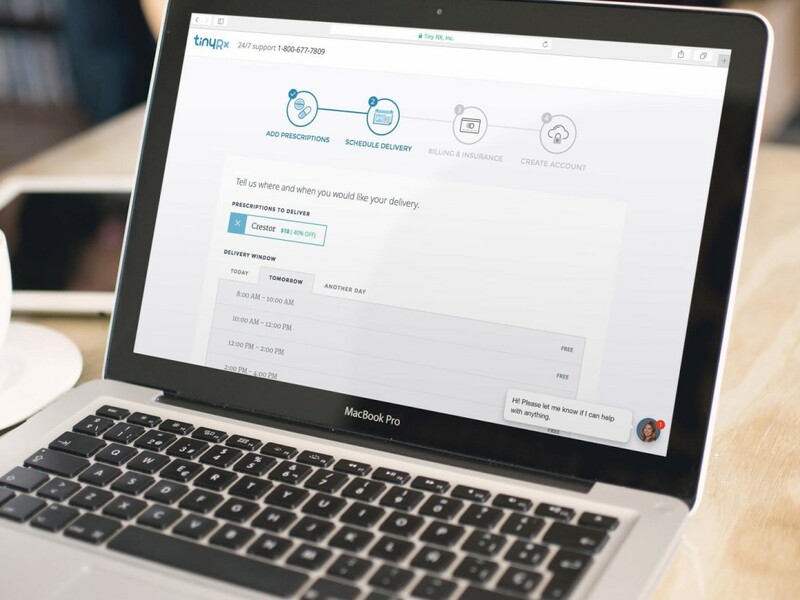 Users can link their current prescriptions to the platform, or put unfilled prescriptions into the system. After the prescription filled and all the pricing is taken care of, the medication is delivered via driver to a selected location. With cheaper costs and free standard delivery, TinyRx doesn’t make it’s money through conventional methods other on-demand services use. Instead, it participates in a revenue-sharing program with the pharmacies it partners with to make the whole thing work. The company also already has significant investment funding — most recently raising $5 million in a round led by Eight Partners, VC Joe Lonsdale’s new fun; Google Ventures; Stanford’s StartX; and multiple seed funds and angel investors, including founders and early employees from companies like Google, Airbnb, athenahealth, and Collective Health. Overtime, TinyRx COO Christopher Bockman explained that the platform will expand to not only provide medication delivery, but also help users manage their prescriptions. Ideally, a comprehensive dashboard will help users know if medications they’re taking will affect one another. More immediately, the company will continue to expand in the Bay Area, and likely soon to other metro areas, to create a more widespread on-demand pharmacy network. “We do feel there is a real opportunity to build a real customer-centric pharmacy service,” Bockman said.